Live your life the way you wear your jeans — not too tight and not too loose. Finding the perfect fitting pair of jeans is an art form, much like life. After time, tight jeans make us cranky and the loose ones make us feel sloppy. Much like life, well fitting jeans make us feel alert to what’s happening yet relaxed with what is. What does this all mean? 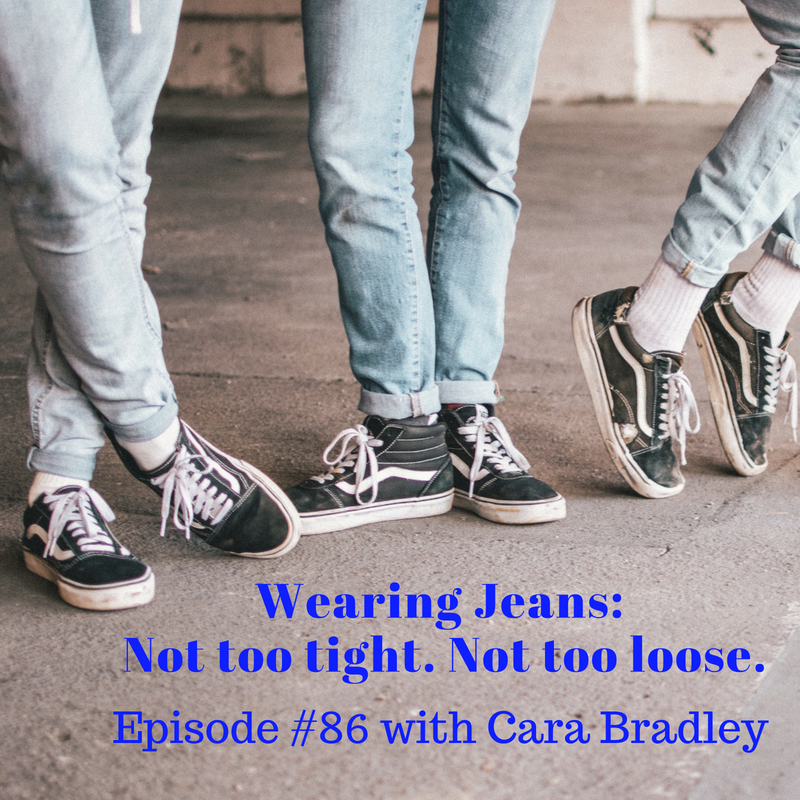 In this free-form episode Cara shares how she was recently inspired with a great idea for a talk but she put off recording a podcast episode thinking she could save it for another day. As a result of her procrastination, she learned that you cannot recreate creative impulse. Furthermore, she discovered that genius happens in the moment so we need to be ready for it. When a moment of inspiration strikes, what do you do? Does your chronic perfectionism set in? Do you procrastinate? When you are hit with a great idea or stroke of genius do you listen carefully and take action right away? And, most importantly, how do those jean feel today?